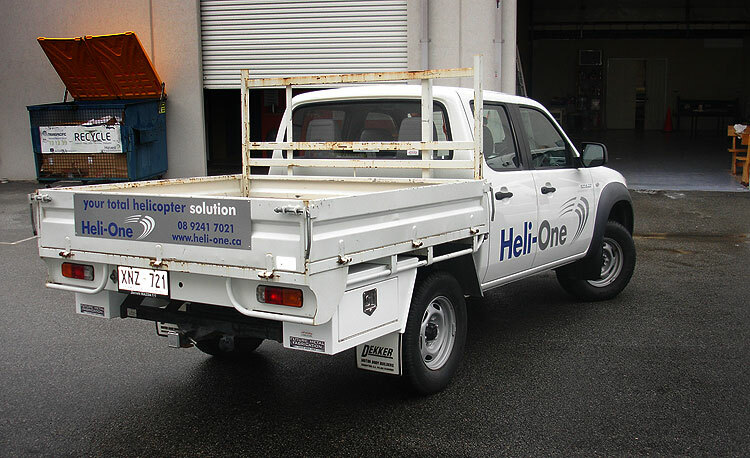 Ute signwriting is particularly common these days, with most utes having plenty of space to signwrite. In the case of Heli-One, we used vinyl-cut signage on the sides of this Mazda Bravo and then riveted a piece of metal signage on the back tray. 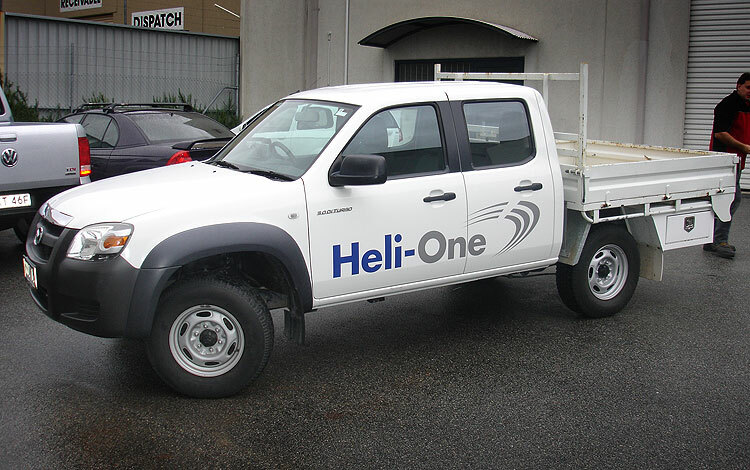 This is a fairly simple and cost-effective way of getting a business’s name out in the public eye, and also catches attention with its bold side graphics.